The County seat of Izard County is located in Melbourne, AR. According to the U. S. Census Bureau, July 1, 2015, there were 13,696 people living in Izard County. 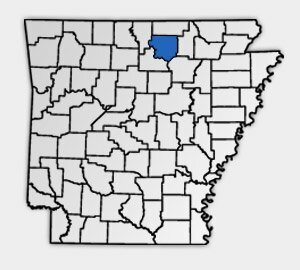 Izard County was formed on October 27, 1825 as the 13th county of the Territory of Arkansas from parts of Independence County. It was named for George Izard, the second Governor of the territory. The county has a total area of 577.1 square miles, of which 573.5 square miles is land and 3.6 square miles is water. There are 8 municipalities within the county. The county has many forms of recreation to offer.